November 2018. First trade paper. 190 pages. Identity in crisis. This is best-selling author Peter Sichrovsky’s territory. What makes the Vienna-born Sichrovsky turn to Jewish love stories after his landmark books of interviews with German and Austrian children of Holocaust survivors, Strangers in Their Own Land (1986, Basic Books) and children of Nazis, Born Guilty (1988, Basic Books) are common threads of feeling lost, misdirected, repressed, estranged, haunted, or shamed. These are love stories where love is a bitter pill, a joke, a missed chance at happiness, a secret, a ghost, or a longing to be with a person one cannot even remember. Sichrovsky writes without embellishment, spare outlines of characters that feel familiar, and infuses them with dark humor and tragedy in equal force. With characteristic inquisitiveness and provocation, Sichrovsky shows he can deliver a delightful and absurd collection that entertains and inspires us to tears, laughter, revelations. In “Prague,” an adolescent Jewish boy struggles when his Communist parents renounce their affiliations upon Soviet invasion of Czechoslovakia — just as he is about to land a date at the local Communist club. “The Love Schnorrer” follows a hapless, depressed man leaving his wife and children to secretly emigrate with a Jewish partner, but he is deceived by this new woman, who he most thought he could trust. In “The Sirens” a young couple in Israel — he a native Brooklynite and she an Israeli-born doctor—struggle to keep their marriage and family together under Saddam Hussein’s latest rocket attack. “Berlin,” “Holiday,” and “Pig’s Blood” have an autobiographical aspect. Interviews, interrogations, and captive audiences all reveal aspects of the author’s curious career and iconoclastic personality. But Sichrovsky’s stories are clearly fictional and, in some cases, are entirely ridiculous. In “Clearance Sale” a Jewish man married to the wrong woman for years — she’s German, with Nazi-sympathizing parents — consummates a brief affair with his Jewish secretary on a teddy bear, but only by passing backward through his life to a point of self-annihilation. “The Aunt” is a raunchy romp through an old people’s home, where the protagonist’s Aunt Martha is forced to share a room with an old Nazi. “Coffin Birth” finds the wealthy businessman and Holocaust survivor Herr Bernstein only able to reconcile his seventieth birthday with the conception that he will have an heir — by any means necessary — when he learns his daughter is a lesbian. A shattered mirror, the individual pieces that make up the short story collection Verklempt are shards of one mythic prior image — Jewish identity. Can it still exist? Can it ever be made whole? A longtime journalist and politician, Sichrovsky writes with a crisp prose that makes his everyday characters real, with a touch of humor and subtle points about what being Jewish means today. This is a strong collection. 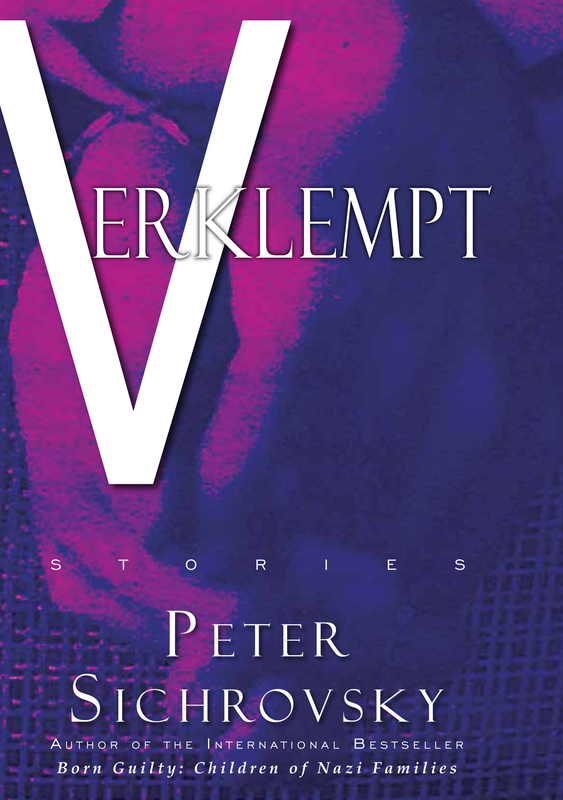 … The pieces here are memorable and diverse, making Verklempt an excellent English-language introduction to the author’s fiction. Moving and engaging…. [Sichrovsky] set[s] up … intriguing narratives and metaphors. A touching, thoughtful, and powerful read; Sichrovsky’s insights into people’s secrets, regrets, and consciences are artfully divulged. Verklempt certainly lives up to its title. John Howard’s translation is clear, clean, and straightforward. His word choices are simple and direct, resisting the temptation for sentimentality that such subject matter holds. I was especially impressed by the way he conveyed the different patterns of speech that characterize people of different ages and geographical descents. There is no confusing his elderly Austrian aunt with his Brooklynite Jewish mother. Intense existential stories with uplifting conclusions about people, torn by past conflicts and histories, who are coming to terms with the flow of everyday life through fulfillment of their desires. Read an interview with Sichrovsky about Born Guilty when the Chinese edition was released in 2017. Playwright and theatrical producer Ari Roth is the Artistic Director of the new Mosaic Theater Company in Washington DC. He is a two-time NEA playwriting grant award-winner, has received four commissions from the Foundation for Jewish Culture as well as being two-time recipient of the Avery Hopwood Award. Roth served as Artistic Director of Washington DC’s Theater J from 1997 to 2014, building it into the largest, most respected Jewish theater in North America. He wrote the American theatrical adaptation of Sichrovsky’s Born Guilty, produced across the United States, as well as a sequel, The Wolf in Peter, and a related award-winning comedy about growing up the child of Holocaust refugees, Andy and the Shadows.